CPEC is no wonder a multidimensional project which not only focuses on the economic prosperity but lays an equal emphasis on the social development and nation building. This claim is not far from reality especially in the wake of recent announcement about the establishment of the education city in Gwadar, Baluchistan. This development points to the fact that the CPEC aims to bring development at the grass root level and empowering the common public through education. A society that is shaped up through such enlightened policies is no doubt a productive workforce not just for that country but a responsible and a refined member of international community with high morals. The same thought process is involved behind the plan of building the education city as the importance of education in nation building can never be undermined. It is a fact that education is a vital investment for human and economic development. We are living in an inquiring and innovation-oriented society. The demand of twenty first century is novelty, creativity, and integration of knowledge at global level, research, critical and analytical thoughts. Rapid social changes are creating uncertainty and complexity in the society. To prepare the youth to cope with the present situation, there is a need to develop analytical and critical thinking, skill and attitude that would make them more flexible and innovative to deal with uncertainty and crises at national and global level. It was the realization of the same that has compelled the policy makers to focus on the development and easy access to education for all especially in the less developed and economically deprived areas of Pakistan. In this regard, earlier this month, the Higher Education Commission (HEC) unit of China-Pakistan Economic Corridor (CPEC) held a special consultative meeting to review the ongoing government university and educational city projects in Gwadar. Members of Technical Review Committee included BUITEMS Vice Chancellor Dr Ahmed Farooq Bazai, University of Turbat Vice Chancellor Professor Dr Abdul Razaq Sabir, Quaid-e-Azam University Professor Dr Zafar Nawaz, Balochistan Higher Education Secretary Abdula Jan. While senior professors of universities and other government officials were also present on the occasion. In the meeting, comprehensive consultation was conducted for construction and establishment of world class government university in Gwadar and launch of certain educational and technical training programmes and courses. 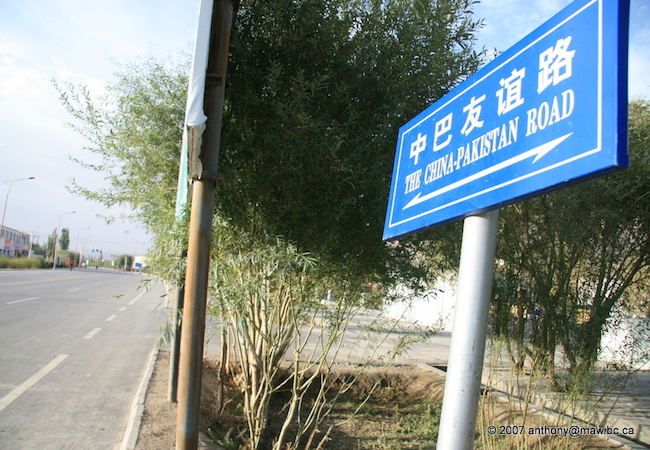 The consultation process included heads of many government departments, universities, and other institutions of Baluchistan so that the people of Baluchistan could benefit from the completion of CPEC. The committee discussed employment opportunities which would be provided after completion of the CPEC projects. Special focus was made on provision of technical training to the youth of Gwadar. HEC head Lt Gen (retd) Mohammad Asghar at the Baluchistan University of Information Technology Engineering and Management Sciences (BUITEM) said; “Establishment of Government University Gwadar in due time and duration is an important target for all of us”. He also emphasized on the need for hiring the best and highly qualified teachers. “Best teachers and faculty will be appointed on merit only,” the HEC head said. It is important because one needs to realize that in the world of knowledge the emphasis should not just be on the gaining of knowledge but on the acquisitions of capacity to think and analyze facts logically and make informed conclusions and ideas. This is where the role of a teacher is highly important. Teachers, through their teaching methodology equip the students with the skill to discard old ideas and replace them with modified ideas and new knowledge. As Toffler once said “learn how to learn”. The perceived education city needs to be designed not only for “learning” but for “thinking”. Only such schools and colleges will be able to produce men and women who can think, who can make new scientific discoveries, who can find more adequate solutions to impelling world problems, who cannot be brainwashed, men and women who can adapt to change and maintain sanity in this age of acceleration. Only such a society will be the most tolerant and accommodative of others views and values hence better equipped for crisis or conflicting situation. Last but not the least education is a factor of change in one’s life. The youth especially is blessed with immense potentials that can only be positively tapped by giving them education. BUITEM vice chancellor said, “Youth and students of Baluchistan are not lesser than any of us. We have to equip Baloch youth technically in order to promote economic rehabilitation of the local people.” Education for the youth is the medium with the help of which they can quench their thirst for realizing their potentialities. The youth should be equipped with the best possible education and facilitated with favorable conditions to, through the attainment of their skills, be an asset to the community and that way contribute actively to the development of the community, as they are essential elements of the society. In this globalised and knowledge-based world, COEC is no doubt recognizing this need of the hour and is adamant at providing every young person with the opportunity to contribute to the society while fulfilling their potentials.